At NPC18 in New Orleans, AICP’s Community Assistance Program is organizing two volunteer opportunities to give attendees the opportunity to get out into the community and leave a positive mark on the city while gaining new planning experience and skills. In a partnership with YEP! Youth Engagement Planning, the Youth: Empowering Leaders Today workshop will take planners to a local Boys and Girls Club where they will learn about how to involve youth in the planning process and be an advocate for teaching young people about the planning profession. They will immediately put what they learn into practice and work directly with a group of kids. Planners will provide hands-on activities with a focus on civic engagement, the importance of learning about local government, and how to advocate for change to make their communities stronger. Atttendees will take home tools and resources to involve youth in their own local planning processes. Youth are too often missing from the conversation. This one-of-a-kind interactive workshop is an amazing opportunity to inspire young people of diverse New Orleans neighborhoods — the people who will realize the plans of 2040 and beyond. This mobile workshop was just posted to the NPC18 program. Space is limited, so don’t wait to sign up. 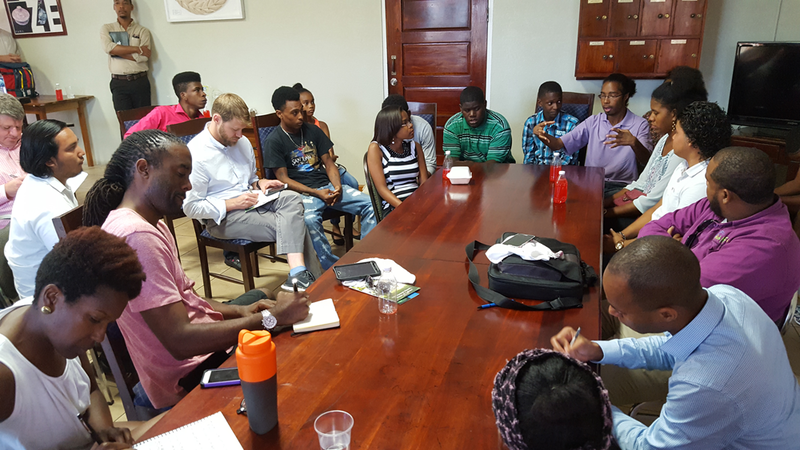 Engaging youth is an important part of the planning process and their insights and ideas are often eye-opening and critical to the change communities are pursuing. Photo by Ryan Scherzinger AICP, from the Yarborough Community Planning Assistance Team's (CPAT) project in Belize City. Get involved and work alongside residents in the famous Treme neighborhood at the Sojourner Truth Neighborhood Center during the AICP Community Planning Workshop. Registrants will serve as active participants in an important planning initiative occurring in New Orleans right now surrounding affordable housing. AICP is working with the city and HousingNOLA on the workshop that will focus on the Claiborne Corridor Housing Plan that will serve as a springboard to a city-wide neighborhood planning process. The Claiborne Corridor Housing Plan will launch the creation of a series of neighborhood plans (Lower 9th Ward, Leonidas, Hollygrove, Hoffman Triangle, Bunny Friend, The Village, and Algiers Point) to translate the overarching equity strategies to the neighborhood level. These neighborhood pilots are designed to fully engage neighborhood residents and secure resources necessary to address the complex issues that create affordability issues in each specific community. 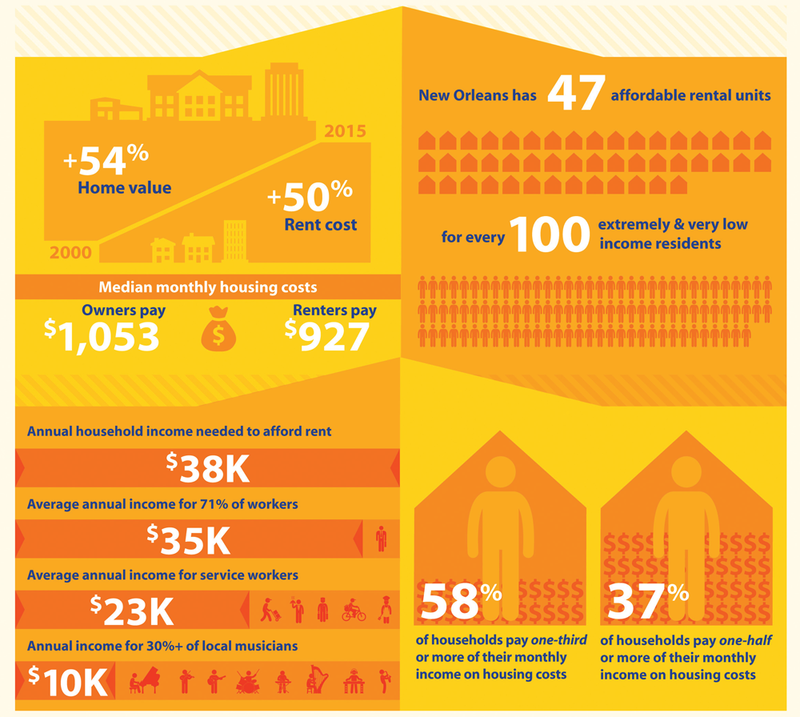 Source: Housing for a Resilient New Orleans: A Five-Year Strategy (June 2016). The Claiborne Corridor embodies many of the challenges and opportunities facing the city, including housing, recreation, disparities and equity, public safety, education and workforce development, and infrastructure and resilience. Housing costs in New Orleans rose by about 50 percent since 2000; meanwhile, 28 percent of residents live in poverty (compared with 15 percent nationally). Many factors contribute to the current situation. But many agree New Orleans is at a crossroads. The city and a range of stakeholders acknowledge that it is getting too expensive to live in New Orleans for long-time residents, and they need a shared strategy on how to create affordable housing opportunities. The big question and major challenge on the table is, can New Orleans evolve to meet the housing needs for a broad range of lifestyles, ages, and incomes while also retaining its traditions and distinctive way of life? Sign up today to be a part of this important workshop. Top image: Orleans Avenue in the Treme neighborhood of New Orleans. Photo by Flickr user Infrogmation of New Orleans (CC BY 2.0). Ryan Scherziger, AICP, is APA's professional practice programs manager.